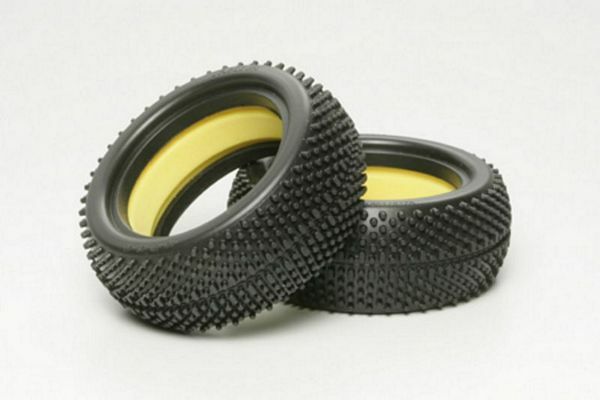 Newly designed off-road tires featuring larger diameter and width, and new micro pin tread pattern designed for optimum running and control on hard dirt tracks. Shaped tire insert included. *Compatible chassis: most Tamiya off-road buggy chassis.